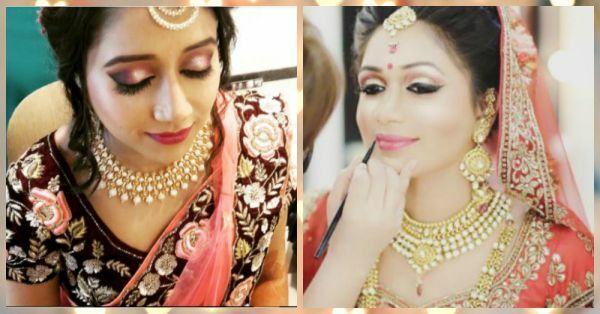 Fabulous Indian bridal makeup trends that any bride can carry off like a PRO. Your big day is around the corner and you’re getting more and more nervous by the minute. Mostly because all you want is to look your gorgeous best on your special day. We understand what you’re going through, and so, we have for you all the latest Indian bridal make-up trends of 2017. Check ‘em out! Smokey eyes have now become a make-up essential and is an Indian bridal make-up trend that never fails to impress. This year though, brides are opting for coloured smokey eyes instead of the usual charcoal or dark grey ones. Experimenting with colours to make your eyes stand out is a major trend this year! The latest Indian bridal make-up trend, strobing is basically a fancier term for highlighting. 2017 is all about replacing the bronzer with a highlighter for that extra glow! Add a dash of blush on your cheeks and be prepared to look like a Goddess on your wedding day. Matching your make-up to your outfit is a bridal make-up trend that will never go out of fashion, but this year, brides are going all out and breaking the norms. So instead of matching your red lehenga with a red lipstick, go in for a contrast lip colour. Sassy combinations like a pink lehenga with a bright orange lipstick is totally doable too! Another Indian bridal make-up trend that is popular this year is berry toned shades for your lips. Different shades of plum, raspberry and strawberry are all the rage with 2017 brides. In fact, winter brides can even opt for deep wine shades to make their beauty look stand out! Also, glossy lipsticks are being replaced with matte textures. And you thought precious stones were only apt for your jewellery! Among the various new trends that have come in this year, jewel-toned makeup is one that we absolutely love. Rubies, emeralds and sapphire shades can be used for the eyes. Opt for a pretty maroon lipstick to finish off your exotic look. The latest bridal make-up includes brides going in for soft and subtle make-up looks. And peaches and light pinks are the perfect colours for the minimalist bride. You should definitely go in for these shades if you’re having a summer shaadi or a daytime wedding. Again, like pink and peaches, a soft dewy look is perfect for the bride having a day wedding. The dewy and natural make-up look gives your face a clean, classy and fresh finish. And more than that, this is one bridal make-up trend that looks extremely gorgeous in pictures! 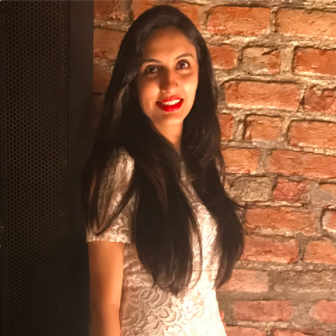 If you do not want your makeup to look extremely simple or over the top heavy, then minimal Indian bridal makeup trends are what you should opt for. If your wedding dress is heavily embellished, this is an amazing makeup trend to help balance out your bridal look. The idea here is to keep the colours same for your cheeks and lips and preferably for your eyes too. So, if you are going with red, stick to it for all the three areas. Peach and earthy pinks are the ruling Indian bridal make-up trends for this year! Your eyes do most of the talking for you on your wedding day, so it’s important to drive all the attention to your eye make-up. And what better than tons of mascara for a dramatic and fabulous look! Trust us, it looks great and is one of the top Indian bridal make-up trends of the season!